Lewis Hamilton bagging pole position hardly seems a surprise. This was his 70th ever, as well as his fourth in a row here. But, boy, did we have a journey getting there. 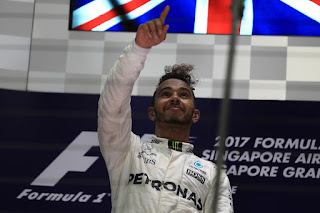 After his and Mercedes's dash from jail in Singapore, leaving with a 28 point championship lead, the consensus was that was that. Yet once cars started to circulate the Sepang track this weekend no one was quite as sure. There were reasons to think in advance that Malaysia would not be a Merc cakewalk, but it was off the pace to an extent that shocked. There wasn't an obvious explanation either - nothing peculiar to short runs or to the tyres, or a lack of balance. It just lacked grip. 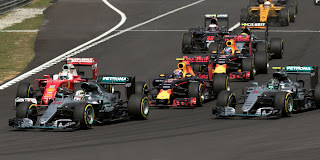 And Merc and Lewis's direct title rivals Ferrari and Sebastian Vettel stepped into the breach. Suddenly it threatened to be a lot like Singapore's build up - them on top and Red Bull in the mix. The third row looking possible/probable for Merc. And with it a healthy points swing was on for Seb. You've got to love Daniel Ricciardo, possibly F1's most glowing personality. And a sponsor of his Red Bull team, ExxonMobil, gave a few F1 fans - who had used the hashtag #SpeedDialDaniel - an opportunity to speak directly to Danny Ric live via FaceTime and ask him a burning question of their choice. 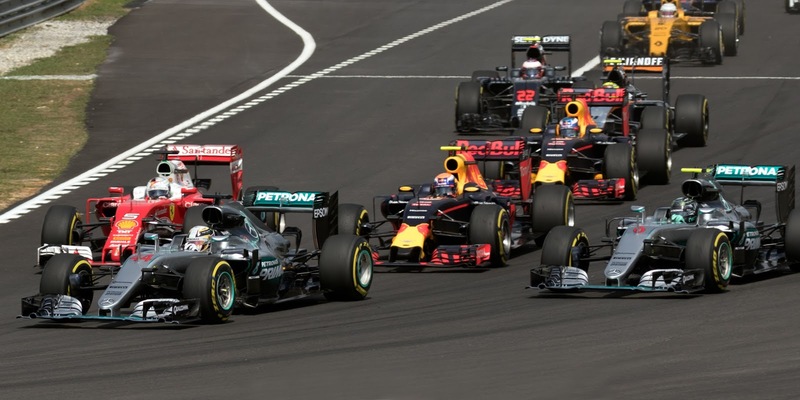 Malaysia GP Betting Preview - Battle of the big three? It's not just due to geography that the Malaysia Grand Prix this weekend feels a short hop from the previous round in Singapore. They share sapping heat, and it will be if anything more intense this time given it's run in the day time. We've seen plenty - including in Singapore - that Mercedes struggles relatively when the temperature rises. battle of the big three teams? And as a partial consequence this race feels a close call between the 'big three' teams. Here two years ago Sebastian Vettel's Ferrari flat beat Lewis Hamilton Merc on tyre longevity in the tough conditions. Plus the Scuderia has an updated engine this weekend. With all this the 13/5 for Seb to win looks better value than the evens for Lewis. Like in Singapore too Red Bull will look to this one with optimism. It looked strong in Hungary on the supersoft tyre in hot conditions and this is what it'll get here. 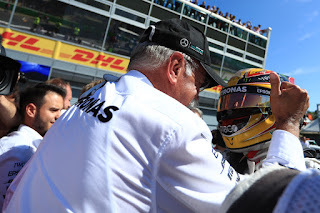 The team of course scored a 1-2 in this race last season, albeit aided by a late engine failure for Lewis. But even so its showing was strong. 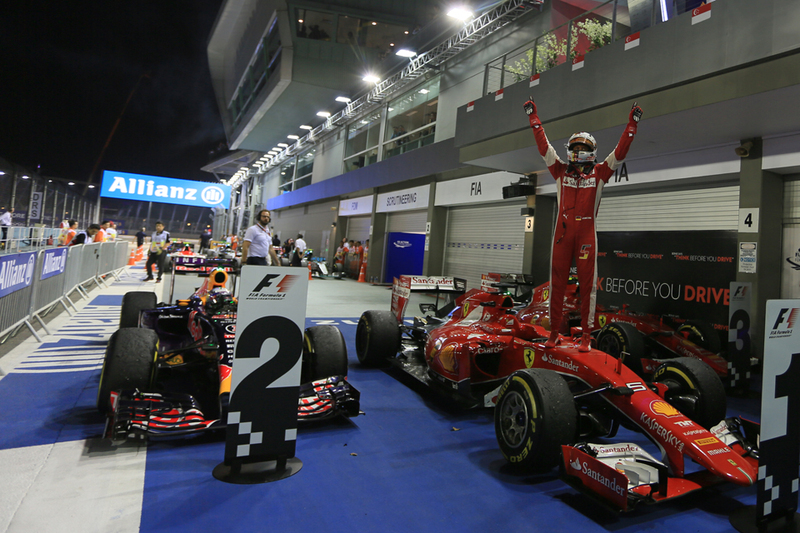 Inside Line F1 Podcast - Did The Success Of The Singapore GP Cause Malaysia's F1 Exit? 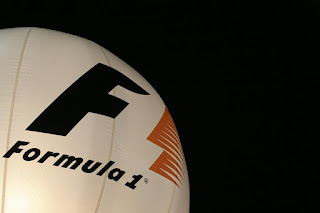 After 19 illustrious years, Formula 1 will bid adieu to the Malaysian Grand Prix (and the Sepang International Circuit) this Sunday. 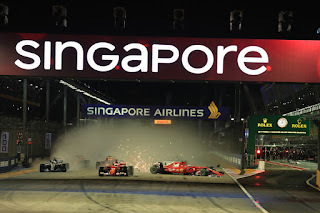 While the gesture to release a full-race edit of the 2001 Malaysian Grand Prix is a good one, did the success of the Singapore Grand Prix cost Formula 1 (and us!) the Malaysian Grand Prix? Or have the Motorsport fans in Malaysia chosen MotoGP over Formula 1? Will the Strolls have a say in selecting the lead Williams driver in 2018? Are McLaren already jumping the gun with Renault? And finally, who will jump on the top step of the podium in Sepang while the FIA have tightened the rule for jump-starters! All this and more in the Inside Line F1 Podcast. Do subscribe to the Inside Line F1 Podcast on iTunes and audioBoom for your weekly dose of Formula 1 humour. Sepang was the future once. When it arrived in 1999 it was the great leap forward. Bernie Ecclestone hailed the venue for the Malaysian Grand Prix immediately as "the best in the world". It was a template too. The built-from-scratch all-mod-cons Hermann Tilke typology is now familiar. This was the first. The template stretches to the circuit layout - a long straight book-ended by tight corners (this track has at least two of them indeed) intended to provide overtaking, with a variety of types of turn elsewhere including a high speed esses section. Even its motivation was as would become grimly samey - the Malaysian Prime Minister wanted to promote the country as an industrial and business destination and bankrolled the event to this end. New Motorsport Week article: Putting the leader first - what happens if F1 titles are based on laps led? By Suyk, Koen / Anefo / neg. stroken, 1945-1989, 2.24. You likely will have discerned that I'm one of those who likes F1 history. With this I like to look for anniversaries, which took me 40 years ago to the 1977 season. I also like a 'what if?' And both of these came together for me to wonder, how would F1 history would look if world championships were based on laps led in the season and not points? In my latest article for Motorsport Week I investigated. And it's surprisingly interesting, even uncovering a fundamental of how exactly F1 has changed over time. 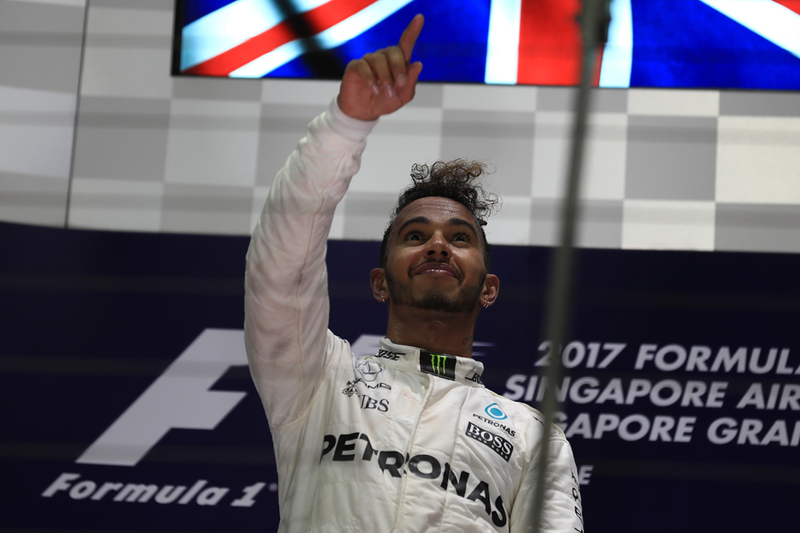 Inside Line F1 Podcast - Do We Have To Blame Someone For The Singapore Car-nage? 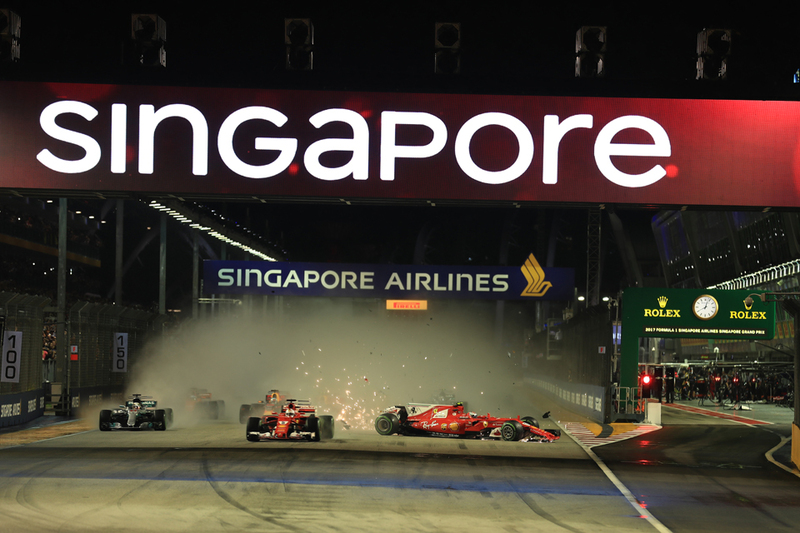 Formula 1 tested a live 360 degree telecast of the 2017 Singapore Grand Prix. 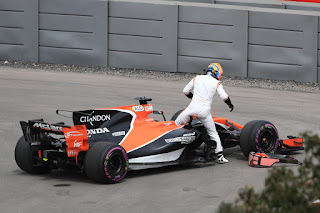 While this wasn't available for fans to consume, if it was, the footage would've only offered more angles to fans to dissect the Verstappen-Raikkonen-Vettel clash and pinpoint the blame on a driver. But do we really have to blame this on someone? Let's take the FIA's lead, classify it as a 'racing incident' and move on. Or like Mithila said, she'd love to use the 360 degree footage to see Fernando Alonso's air-borne 360 degree spin! In this week's episode, we tell you why a Lewis Hamilton win in Singapore is actually an unusual result, why Carlos Sainz Jr. might need to drop the 'Jr.' from his name next season and wonder if Nico Rosberg has any clout whatsoever to help Robert Kubica make a heroic comeback to the sport. Also, we can't believe that Daniel Ricciardo actually admitted to farting at an official press conference! Has Mercedes forgotten their other junior driver, Pascal Wehrlein? And will both of Ferrari's junior drivers (Giovinazzi and Leclerc) make it to Formula 1 next season? And finally, should Jolyon Palmer take the money and make way for Sainz to make his Renault debut in Malaysia? For better or for worse, motor sport is not like other sports. We got our latest demonstration of this in Singapore. It was the equivalent of a football team expected to win easily finding themselves 5-0 down seconds into the match. And with no hope of a come back. All due to Sebastian Vettel's ill-fated decision to 'cover off' his fellow front row man Max Verstappen, which went very wrong. 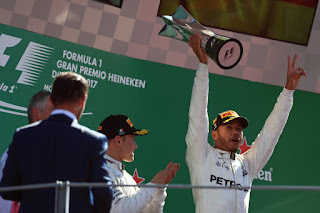 And thus while it looked like Seb could hardly not re-take his title lead, perhaps by a distance, now it looks Lewis Hamilton's championship to lose. That's what we got in Singapore. Sebastian Vettel looked serene on pole. 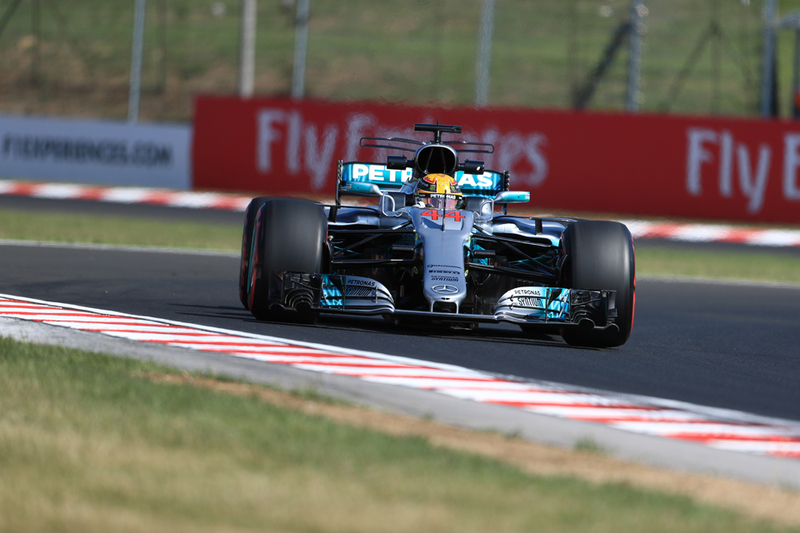 Granted the Red Bulls would be strong in the race, but from the championship angle his rival Lewis Hamilton was flailing down in fifth. Surely he would at least re-take his long-held drivers' title table lead. It was a matter of how far by. It looked like it would be very different. But, when it mattered, first place looked rather familiar. In this latest Singapore gathering F1, it appeared, was going back to the future. On a twisty track that would suit its car and an aero upgrade under its belt, Red Bull topped all three practice sessions and the first two parts of qualifying. At points of the weekend the RB13 pair looked on another level. Just like old times. But qualifying is a high bar. Ferrari and Mercedes would crank their power units up. Plus there are more general considerations here. 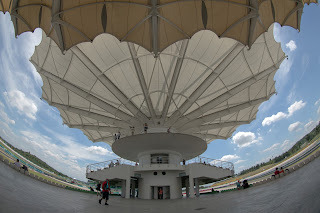 Like Monaco track evolution at Singapore is skyward - good times cannot be sat on. Like there solid things are near to punish those who get it slightly wrong. It was going well for the Bull pair nevertheless, but then they discovered that Sebastian Vettel sets the bar highest of all. Particularly in Saturday's final throes. It appears the bookies have done their homework. In virtually every round this year Lewis Hamilton has been their favourite to prevail. But Singapore, in many ways, is different. The sinewy track is expected to favour Ferrari and reflecting this Sebastian Vettel vaults to the shortest odds this time. Even so 13/8 for Seb to get the win and the same for the pole look well worth your stake. He's a local specialist too, having won here four times. Red Bull is another that should be suited to Singapore. 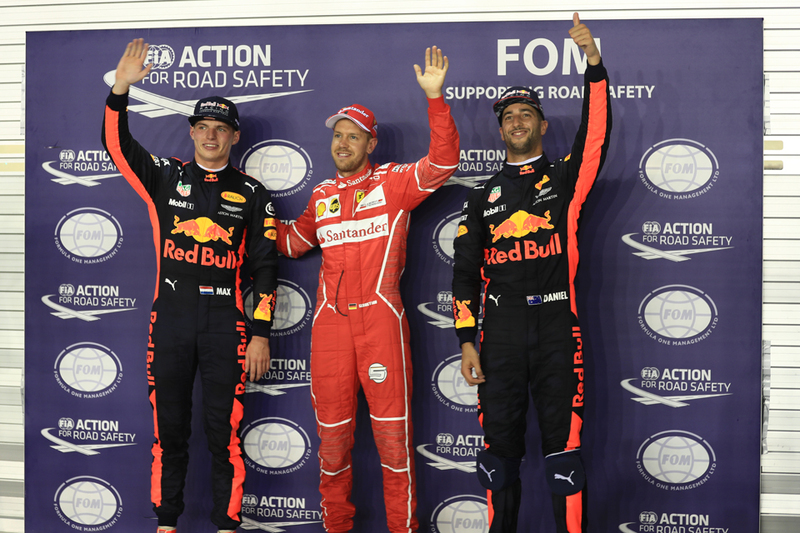 Daniel Ricciardo finished on the podium in all of his last three Singapore visits while in the last two years these were as a very close second. He is available at a very generous 11/8 to get onto the podium again. His team mate Max Verstappen's odds are slightly shorter, at 5/4, to do the same. Still if Ferrari is likely to be on top we shouldn't forget Kimi Raikkonen, who has been right there with Seb in the two similar twisty challenges this season of Monaco and Hungary. And the bookies may have forgotten about him - he's a full 14/1 to win, 16/1 to get the pole and even 13/8 to finish on the podium. 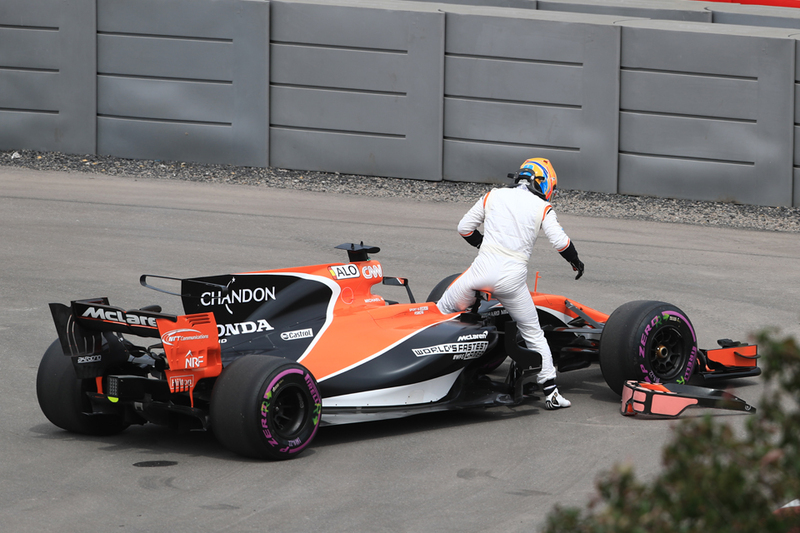 It started with a chaotic qualifying session, but come the end of the race no one sought to point at it as an explanation for the result. Very quickly order was restored, and from there Mercedes crushed Ferrari. 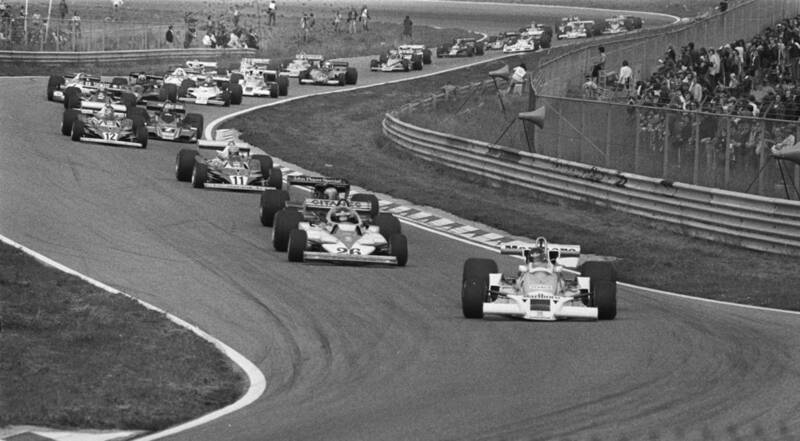 Thus in the space of the week Spa succour became Monza malaise for the Italian challenger. Lewis Hamilton now leads the table for the first time this year, but Singapore is next where Ferrari is expected to be on top again. But then again, this title fight has had a few twists already.